It was the spark that ignited a fire that continues to burn to this day — something that actually ended up working in the Burning Legion’s favor, whether they realized it or not at the time. One world invading another, two races clashing together in a battle for new land, resources, and the sheer glory of conquest. The First War was an unexpected event that took Azeroth by surprise. But the fallout from the end of the war was enough to shape the world for years to come — and significant enough to set the timeline to year 0 when it occurred. 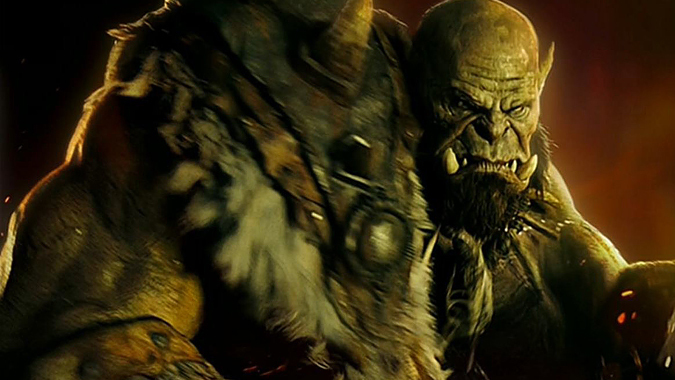 In the upcoming Warcraft movie from Legendary Pictures, we’ll be re-visiting the days of the First War and reliving it again on the big screen, albeit with a slightly different story. Right now, we don’t know how much of the First War the movie is going to cover, or how the movie will end. But we do know what we’ve been told about these ages past, when orc and human came face to face for the first time. The First War didn’t actually begin until after the orcs were almost fully corrupted by the Burning Legion and the draenei had been conquered. When the largest draenei settlement, Shattrath City, was destroyed after the clans drank the blood of Mannoroth, Draenor was left in a state of slow decay. The orcs were left with an insatiable bloodlust, and nothing left to conquer. Left to their own devices, they would begin to turn against each other. But Gul’dan, leader of the Shadow Council, was contacted by a mysterious stranger, a powerful sorcerer from another world named Medivh. Medivh, for reasons of his own, wanted to see the kingdom of Stormwind and quite possibly the whole of Azeroth destroyed, despite his supposed allegiance to the kingdom. Together, he and Gul’dan began the construction of the Dark Portal on both worlds — Medivh on Azeroth, Gul’dan on Draenor — in order to bring the orcs through and unleash them on the world. The orc clans were perfectly happy with traveling to another world, as long as it meant more bloodshed and conquest. Once constructed, the portal was activated and the orcish clans, led by Warchief Blackhand, began to pour through. And once on the other side, they began to attack, taking down small human settlements and farms. Word soon spread of these strange, green, otherworldly creatures, and the First War began in earnest. 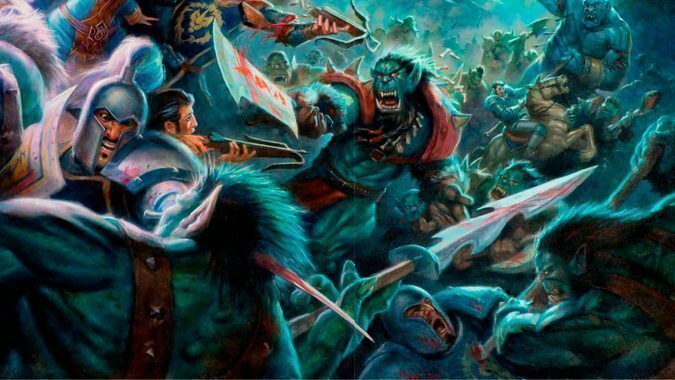 The first major attack in the First War was against Stormwind itself, led by Kilrogg Deadeye and an ogre named Cho’gall, chieftain of the Twilight’s Hammer clan. They expected an easy victory, largely because the humans of the smaller settlements didn’t put up much of a fight — and they were quickly proved wrong. Stormwind was heavily defended by its army, and the two chieftains quickly found themselves in the uncomfortable position of having to beat a hasty retreat. But now the Horde had a very good idea of what to expect from Stormwind’s forces, and they could work on a way to counter it. Warchief Blackhand continued to order attacks to various human settlements, hoping to slowly overrun the outlying villages and learn more about the magic that the humans wielded. The orcs were familiar with shaman, they knew warlock magic, but the arcane was something completely new. And Stormwind didn’t wait around for the orcs to make their moves, either. King Llane ordered troops to defend Grand Hamlet, and also to track down and find Anduin Lothar. Once Lothar was rescued, he took his place at the King’s side as Stormwind’s champion, and together they worked feverishly to battle the ongoing threat that the Horde armies presented. And along with them, presumably working as an ally was a curious man, a powerful man, a sorcerer named Medivh. Medivh’s history was an unusual one — his mother, Aegwynn, left him to be raised by his father, the court conjurer of Stormwind. Nielas Aran raised the boy, but he didn’t know that Medivh carried two secrets with him: First, he was destined to become a Guardian of Tirisfal just as his mother before him, and his powers would be unlocked when he came of age. Unfortunately, Nielas was there when it happened, and the force of Medivh’s power killed him, and threw the boy into a coma, which meant that Nielas never discovered the second secret. During her time as Guardian, Aegwynn defeated an avatar of Sargeras, the leader of the Burning Legion. At the moment of his defeat, he transferred his essence into her, and when she bore Medivh, Sargeras moved from mother to son. The coma was Sargeras’ doing, and during the coma, he took full control. This deception was discovered by Medivh’s apprentice, Khadgar, and the half-orc Garona, both of whom took up residence in Medivh’s home of Karazhan. Horrified by what they discovered, the two quickly traveled to Stormwind to inform King Llane of Medivh’s betrayal. But Llane didn’t believe that Medivh, his childhood friend, could ever be so misguided. Anduin Lothar, on the other hand, had a hunch the two were right, and traveled with them back to Karazhan to confront Medivh. And in the end, Medivh was defeated, mortally wounded by Khadgar, and decapitated by Lothar. Lothar, Khadgar and Garona all returned to Stormwind, the latter becoming a confidant, advisor, and friend to King Llane, filling him in on the inner workings of the Horde. Whatever Medivh’s plans ultimately were, they had been halted … or so they all thought. In fact, the death of Medivh did little to thwart the Horde’s efforts in the First War, and instead began a waterfall of betrayal that did everything to encourage it. Gul’dan sensed that Medivh was in danger, and rather than help his ally, he betrayed him and instead sought to pluck powerful secrets from the sorcerer’s thoughts before his demise. At the moment of Medivh’s downfall, Gul’dan had actually entered his mind, and the backlash from his demise threw the orc into a coma. Because of Gul’dan’s comatose state, Warchief Blackhand was suddenly vulnerable. And his second, Orgrim Doomhammer, took the opportunity to strike. Orgrim was growing more and more suspicious of Blackhand, Gul’dan, and their plans for the orcs — plans that had turned the clans to corruption. 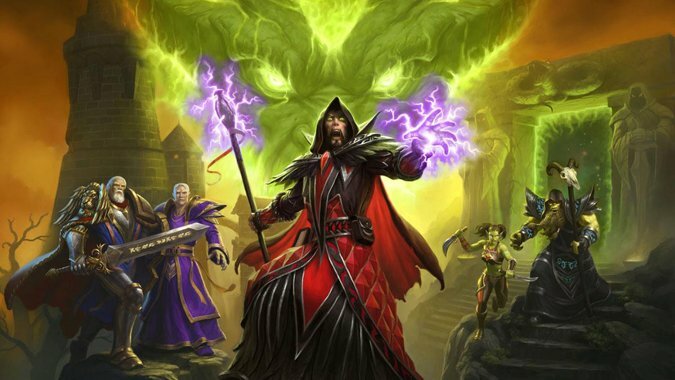 While Gul’dan was temporarily removed from the picture, Orgrim struck, killing Blackhand, seizing the title of Warchief for himself, and a new title — Betrayer. And Garona, the half-orc assassin who helped bring down Medivh, didn’t escape cleanly, either. Held under a magic compulsion by the Shadow Council, she was forced to murder King Llane in cold blood. After escaping the kingdom, she was captured by Orgrim and tortured into revealing the location and names of the Shadow Council, who Orgrim then systematically took out. In the wake of it all, Garona managed to escape, fleeing both Horde and Stormwind for parts unknown. Once the warlocks of the Shadow Council had been slain, Orgrim took matters into his own hands and began his reign as Warchief. Using all the information the Horde had gathered, he launched a second assault on Stormwind Keep. And this time, the Horde conquered, attacking from all sides and using catapults to set the city aflame. Battered, weary, and utterly demoralized by the loss of their king, the armies of Stormwind were unable to keep the Horde at bay. 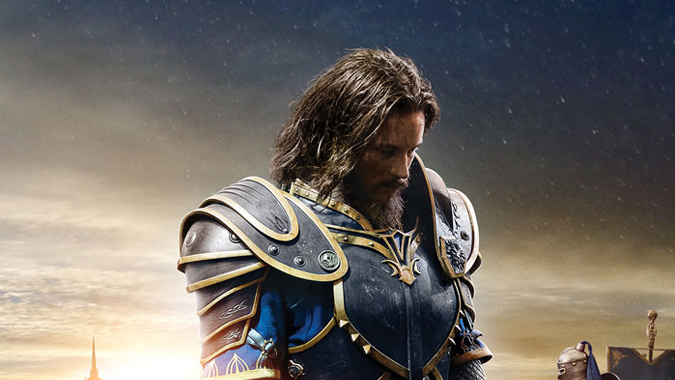 With King Llane dead, and the beloved kingdom he’d so dutifully served in flames, Anduin Lothar gathered the survivors together, including Llane’s son, Varian Wrynn. Left with no other alternative, they sailed north, to Lordaeron — away from the carnage, away from the Horde, and away from their kingdom, with no hope of reclaiming it. Stormwind was lost, and the First War was at an end. 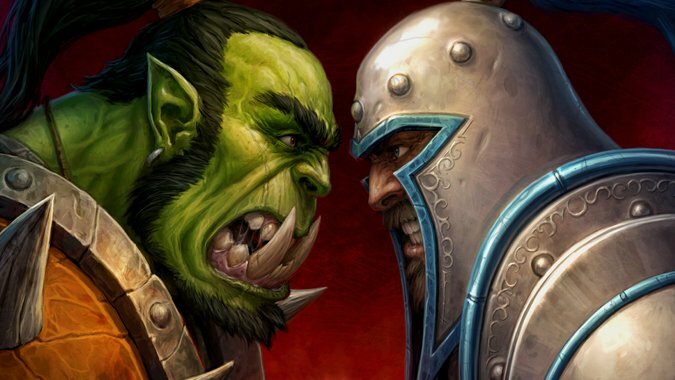 Needless to say, this isn’t the happiest of stories for the Alliance — and the fallout from Stormwind’s fall and King Llane’s assassination would fuel the fires of war for years to come. It’s also a fairly lengthy story, with a lot of twists and turns, so it’ll be interesting to see whether the Warcraft movie covers the First War in its entirety, and what elements the movie choose to leave out. 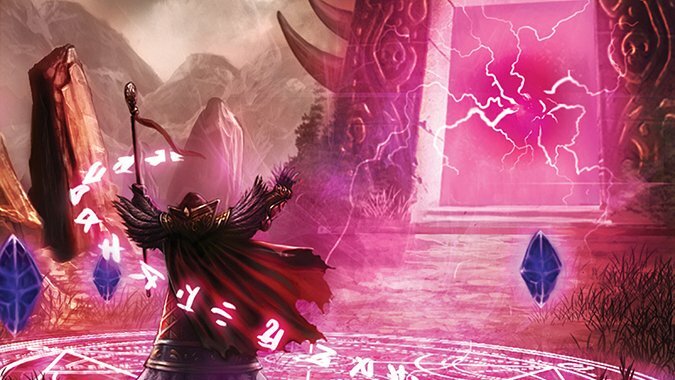 Given that we have actors for Khadgar, Medivh, Garona and Llane, it’s likely that we’ll see at least part of, if not all of the events contained in the novel The Last Guardian, up to and possibly including Medivh’s fall. And if the Warcraft movie performs well enough to warrant a sequel, the Second War would make an amazing film. For now, we’ll have to wait and see what the movie covers when it comes to the big screen next year.